[19:02] <+RichardStern> Hi all, I’m Richard Stern and I’m creating a tabletop RPG book called Altais: Age of Ruin. It’s a dystopian fantasy game set thousands of years in the future. Humanity has left Earth, fleeing from extra-dimensional creatures called the Rephaim. 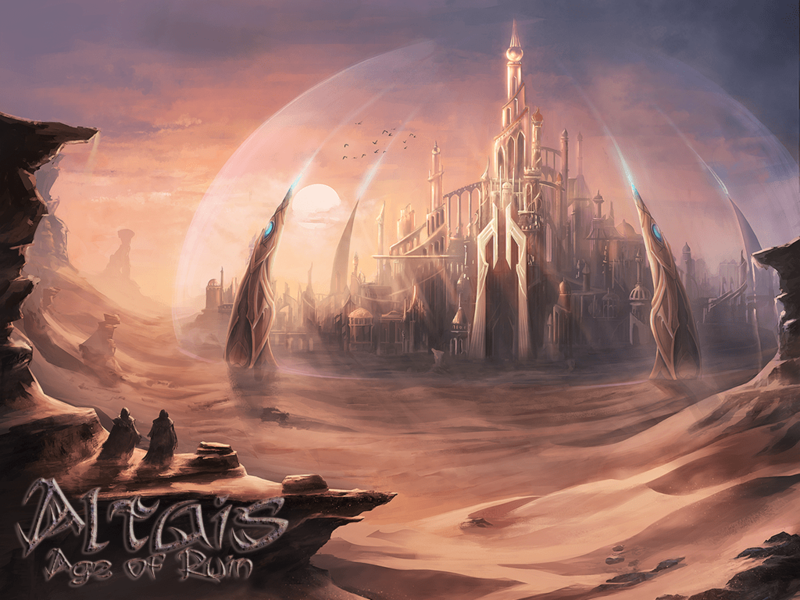 They fled across the stars and settled on a new world: Altais. Andrew Peregrine is a freelance writer, working mainly for Cubicle 7 on Yggdrasill, Kuro and Qin. Also currently working on projects for the Firefly RPG and the V20 Vampire line. Has managed to do a few games as Corone Design, including ‘Hellcats and Hockeysticks’. Brennan Bishop is an RPG writer and designer, freelance writer and general word-goblin for hire. Storm Battalion, his first solo project, is due out in the coming months. Chris Rutkowsky of Basic Action Games is the creator of the BASH! Superhero, Sci-Fi, and Fantasy games, as well as the Honor + Intrigue Swashbuckling RPG. Basic Action Games next major project will be a kickstater for BASH! Fantasy: Legends of Steel, a Sword and Sorcery adaptation of the BASH! system. C.J. Carella is the author of dozens of RPG books including GURPS Martial Arts, Rifts Mercenaries, WitchCraft and the Buffy the Vampire Slayer RPG. Cynthia Celeste Miller is the president of Spectrum Games and has been in the game business since 2002. She has had a hand in games such as Cartoon Action Hour, Capes, Cowls & Villains Foul, Macabre Tales, Slasher Flick, The Big Crime, WWE Know Your Role and many more. Dan Davenport (a.k.a. the Hardboiled GMshoe) has been frolicking around the fringes of the RPG industry for decades. He has written 130 reviews, moderated RPGnet, run #rpgnet chat, hosted game author Q&As, and served as something akin to an RPG community organizer. Darryl Mott Jr. is the tabletop gaming columnist for Ain’t It Cool News, owner and producer of the Gamer’s Tavern Podcast Network, and co-host of the Gamer’s Tavern podcast. David F. Chapman is a writer, game designer, editor, publisher and all-round control freak. He is probably best known for his work as game designer on the award winning Doctor Who: Adventures in Time and Space roleplaying game for Cubicle 7 Entertainment and creator of the Vortex system that powers it, and as line developer on Conspiracy X 2.0 for Eden Studios. James Sutton is the founder of RedBrick and FASA Games, erstwhile and current publishers of Earthdawn, Demonworld, 1879, and Fading Suns. He has since moved on to form Capricious Games, with a focus on Biohazard Games’ Blue Planet sci-fi game setting and the Synergy Game System used to power that game. In addition to producing new material for Blue Planet, Capricious Games are developing the hard post-apoc game Ruination and the hard fantasy game Scepter, both using the Synergy rules. Jason Durall has spent twenty years as a writer, designer, and playtester in the pen-and-paper industry, working for companies like Chaosium, Guardians of Order, Decipher, Mongoose, Margaret Weiss Productions, Cubicle 7, Phage Press, and Rite Publishing. His most recent work has included material for The Laundry, World War Cthulhu, Magic World, and he is the sole author of Lords of Gossamer & Shadow. By day, Jason L. Blair writes for video game developer Volition (creators of the Saints Row series) and, by night, he works on the tabletop game lines for Little Fears and Streets of Bedlam. In between, he sleeps. Jason M. Hardy is the current Shadowrun line developer and has been working in gaming for nearly fifteen years. He has an awesome vest collection. Jay Little is an award-winning game designer with dozens of hobby games and titles to his credit. Over the years, he has worked for top tier game publishers like Fantasy Flight Games and WizKids, on top tier licenses like Star Wars and Major League Baseball. Jeff Combos is a writer, producer and game designer from Seattle, WA. He is also the crackpot behind the award-winning Hollow Earth Expedition RPG. Jonathan M. Thompson is the owner of Battlefield Press, also the co-author of such games as upcoming Pulp Fantastic and Double Spiral War, along with the Gaslight Victorian Fantasy. He spends his spare time as a historian and amateur paleontologist. Ken Spencer is a writer and Rocket Age Line Developer for Cubicle 7 Entertainment. He is currently working on “Trail of the Scorpion” and “The Lure of Venus”. Kurt Wiegel is a game reviewer from Youtube Game Geeks. Lifelong gamer, father of three and amateur actor. Very amateur. Lawrence Whitaker is co-owner of Design Mechanism, co-designer of RuneQuest 6, and previously a freelancer for Chaosium and a staff writer for Mongoose, with over 30 publications to his credit. Lee F Szczepanik, Jr., has been an author for over 20 years and in RPGs for the past 8 years. He’s the author and creator of the popular War of the Dead setting for Savage Worlds, and has been an editor for Triple Ace Games, Gun Metal Games, and writer for Savage Mojo. In 2014, Lee returns to fiction with new stories based on the War of the Dead and Hellbrood settings, as well as brand new worlds never before released. Nathan Maher is the creator of “Spooks! Welcome to the Great Beyond” ttrpg, author of 2 scifi novels and swears that AD&D Skills & Powers was the golden age of gaming. Richard Iorio is a writer and designer of games. When not doing this, he hides from cats. Ross Watson is an award-winning game designer with more than 50 RPG books under his belt, many as Lead Developer for the Warhammer 40,000 Roleplay line. He was a core developer on the Dust Warfare and Shadowrun: Sprawl Gangers miniature game teams, and the lead writer for the Darksiders II console and PC game. He has written or contributed to books for 3rd Edition Dungeons & Dragons, Star Wars: Edge of the Empire, and the Iron Kingdoms RPG. RPG Pundit is an infamous RPG blogger, owner of theRPGsite (one of the most successful RPG forums online), author of “Forward… to Adventure!”, “Gnomemurdered”, “Lords of Olympus”, and “Arrows of Indra”; the RPGPundit currently works as a consultant on various RPG products, including D&D Next. He is a zealous defender of “regular” RPG gaming against radical efforts by pretentious individuals to highjack and redefine RPGs as something they’re not for their own nefarious purposes. Shane Ivey is coauthor of the upcoming “Delta Green” RPG; editor-in-chief of the Cthulhu Mythos gaming magazine “The Unspeakable Oath”; developer of the superhero games “Godlike,” “Wild Talents,” and “Better Angels”; and contributor to “The One Ring” RPG line. T Glenn Bane is the founder and owner of Scaldcrow Games since 2007. Producer of Worlds of Pulp: “Bare Bones Beyond,” “Davey Beauchamp’s Amazing Pulp Adventures,” “Rotwang City: The City of Shadows,” “Random Event Tables: (Golden-age Hero, Pulp Noir, Hungry Jungle, and Pulp Barbarian). Tim Brannan is the author of Ghosts of Albion, The Witch and Eldritch Witchery. He is also the author of the upcoming Strange Brew and Darwin’s Guide to Creatures. Tim Kirk is the creator of High Valor, and Hearts & Souls RPG, primarily known for their quirky but genre specific mechanics. He is also known for his honesty about depression. Todd Bogenrief is one of the directors of FASA Games, Inc. and Line Developer for the Fading Suns and Noble Armada lines. Ever since he saw his first polyhedral dice set he was hooked and has been playing and writing games ever since. [19:03] <&TimK> Hello! I am Tim Kirk, owner and sole employee of Silverlion Studios. 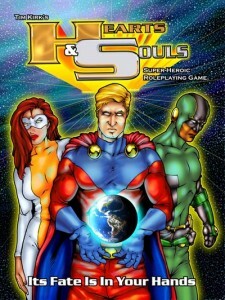 I’m a writer who creates tabletop role-playing games, notably High Valor, and the Hearts & Souls superhero RPG. I’ve been writing my whole life, but produced both my games in the last 10 (roughly) years. Now, if you’ve been payin’ attention, you know that I’ve got a soft spot for Eden’s Cinematic Unisystem games. Hell, I been playin’ it in one game or another since the day the Buffy the Vampire Slayer game came out. So by now, I figure I’ve seen all it can do. At least, that’s what I thought before this young Victorian dame just appeared in my office from outta nowhere in a puff of purple lavender-smellin’ smoke. She tells me her name is Tamara Swift and says that she’s here to have me review somethin’ called Ghosts of Albion. Says it’s a Victorian horror game that uses Cinematic Unisystem. Now, I tell her I already know all there is to know about Cinematic Unisystem, but then she tells me politely that I don’t know what I’m talkin’ about. (At least, I think that’s what “I’m quite sure you do not know what you’re on about” means.) She says that it does things with magic and supernatural powers that ain’t been done before. What’s more, she says, it’s got those Unisystem rules for faeries I’d been hopin’ for. So I tell her I’ll give it a try, and she leaves the book on my desk and vanishes in another puff of lavender-smellin’ smoke. Which reminds me that I need to put up that “No Smokin'” sign. [19:03] <+JoeBardales> Hey everyone, thanks for coming out! My name is Joe Bardales and I’m the lead writer on a new superhero setting called EXTREME EARTH that we’re Kickstarting now. I’ve also got Jon Gibbons the artist and mastermind behind EE and I believe Brandon Blackmoor the creator of the Bulletproof Blues RPG will be joining us as well. [13:01] <+Alex> I ve been on this sytem the last 10 years oof my life and I’m here to give it to you all. Hi I’m Alex the Scriptwriter. [13:02] <+MattUH> Hi to all, I’m Matt, and with Alex we’re working on Urban Heroes, our obsession of the last 3 years. [13:03] <+Alex> #UrbanHeroes is a tabletop rpg born from the need of the role players’ community to have a complete and realistic rpg about superheroes.